This dish was inspired by my favorite steakhouse in Oklahoma City, Jamil's. It has been around for 50 years and was the go-to celebration spot for my parents and grandparents birthday dinners when I was a kid. The atmosphere is dimly lit and romantic. They have famous Oklahoma faces painted throughout the walls of the restaurant, and yes at least one very recognizable face. It has always been fun to look around and try to spot my dads face (I only go there for special occasions so I always forget!) The food is so good and the staff has been there since as far back as I remember. 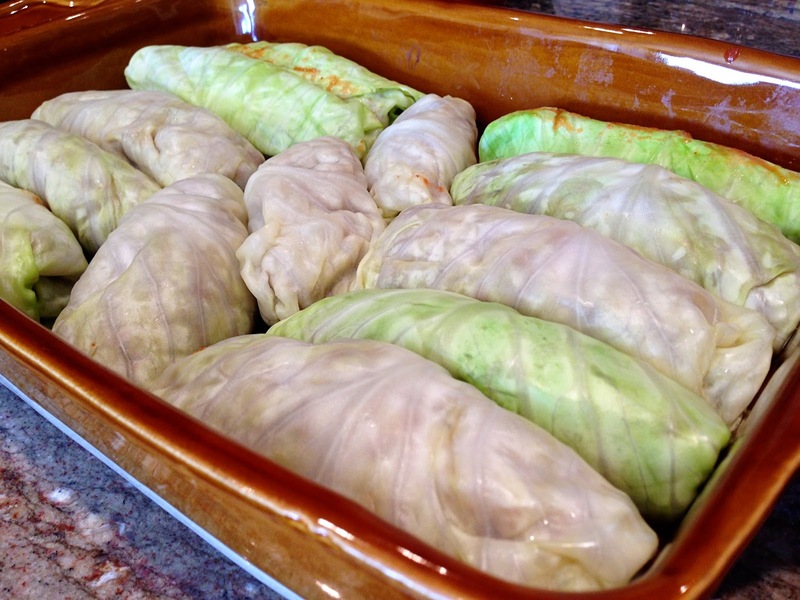 They start you off with quite a spread of Lebanese appetizers that includes these cabbage rolls (and by that I mean a similar recipe), fried bologna, tabbouleh, pita bread, hummus and pickled vegetables. By the time the steak and lobster you ordered gets to your table your ready to pop! 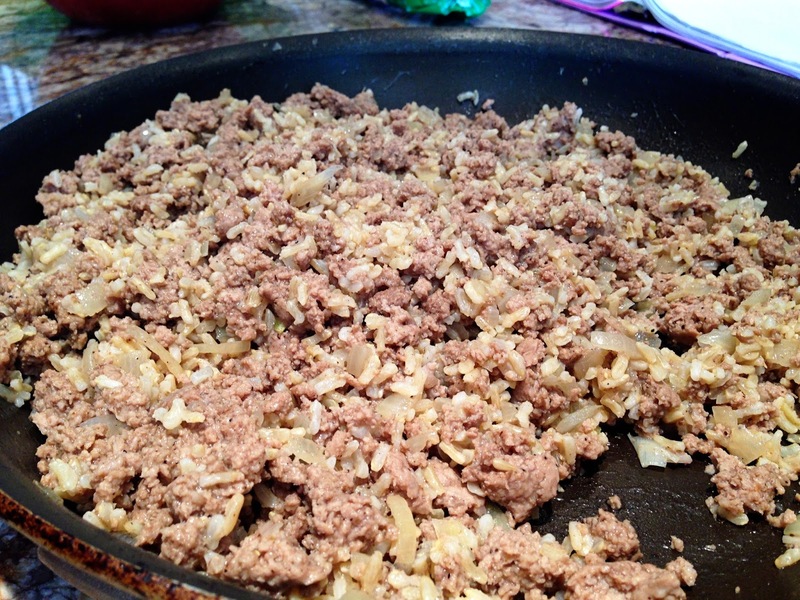 I use ground turkey instead of pork or lamb which is just a personal preference but they taste amazing either way. 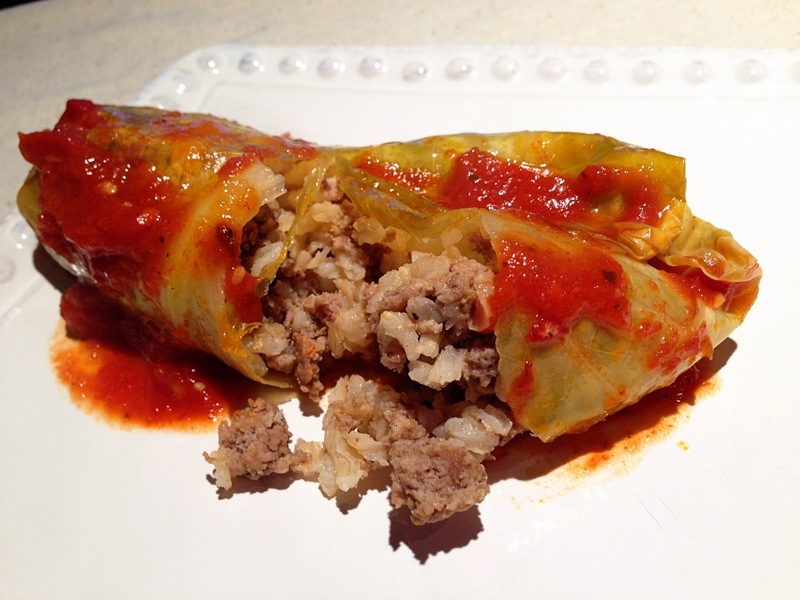 These cabbage rolls have such a distinct flavor that is just ever so slightly sweet with a hint of cinnamon. I can't wait for y'all to try these! What are you waiting for?! Get to cookin'. Brown the turkey, onion and seasonings together. Add rice and milk; stir. Set aside to cool. Remove the outer few leaves of cabbage and discard. Wash the head of cabbage and place it in the microwave for 4 minutes. This will help the leaves separate without tearing. If it becomes more difficult to remove leaves as you get toward the center, just pop back into the microwave for a couple more minutes. (You can also blanche the head in boiling water but I find the microwave to be less time consuming and I get the same result). Fill leaves with 1/3 cup to 1/2 cup of filling. The bigger leaves will need more filling and as you get to the inner/smaller leaves of the head of cabbage you will need less filling. Wrap chimichanga style by folding in the sides and then folding stem side in and tucking it under and then rolling until the edges are flush against the roll. Arrange the rolls in a casserole dish that you have rubbed with olive oil. The arrangement doesn't matter too much just follow a "not too tight, not too loose" rule. 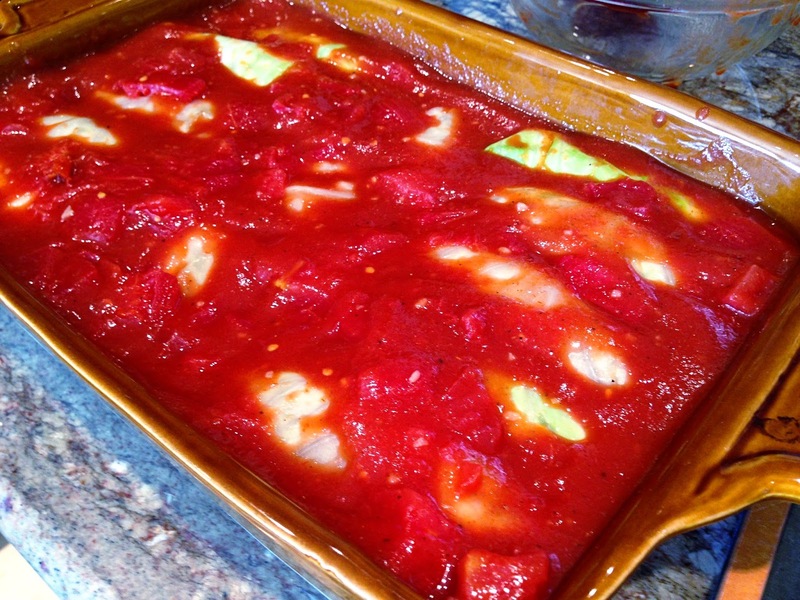 Combine the ingredients for the sauce and spread over the cabbage rolls. Cover and bake at 350 degrees for an hour and a half (90 mins). 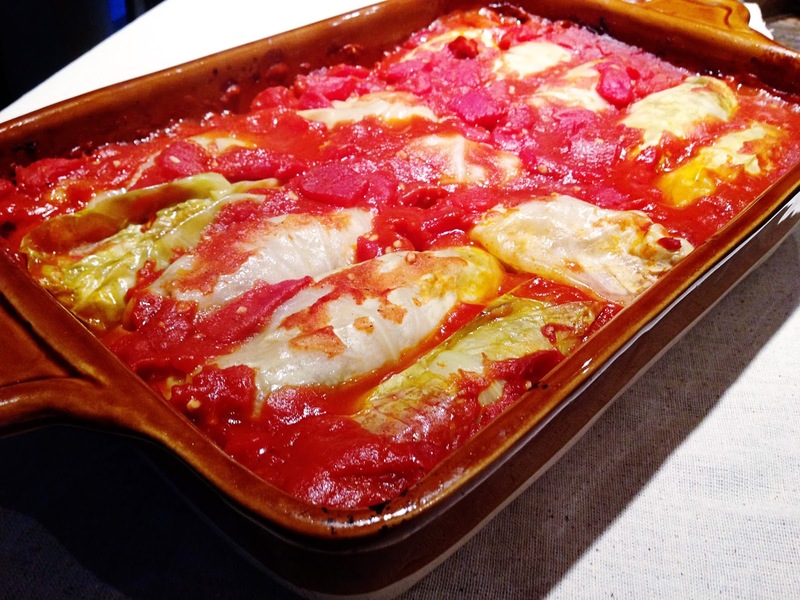 If the cabbage doesn't appear translucent and tender, you can pour 1/2 cup of water over the dish and continue baking for an additional 30 minutes. I make a version of these that my mother always made adding rice to the filling and also quite a bit of cumin. 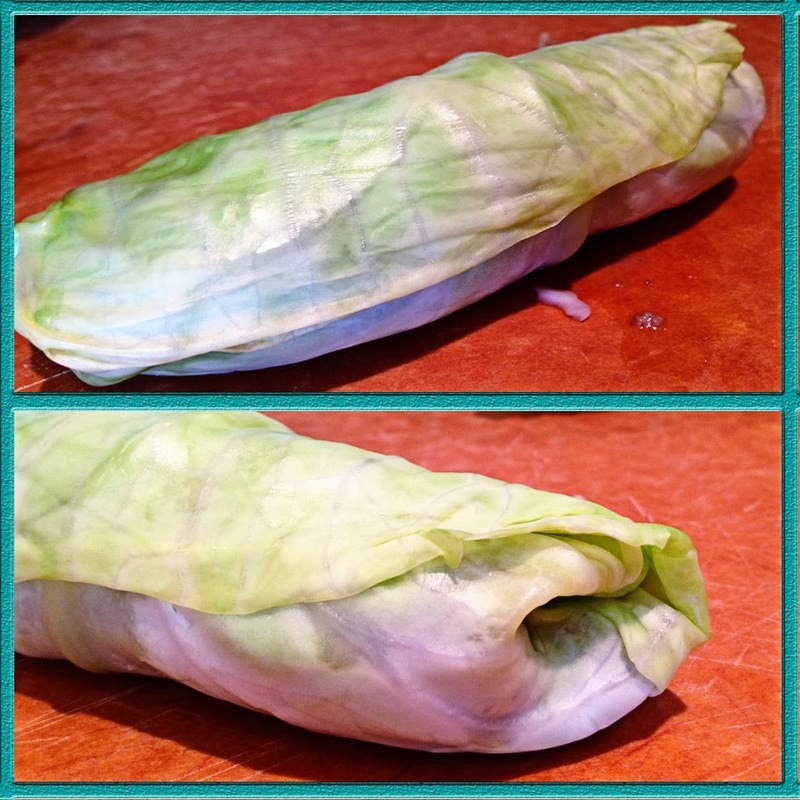 Blanching the cabbage is always a pain so thank you for the microwaving tip! These have rice too! I had a brain fart and forgot to include that in the recipe......I've updated! Thanks! Ok, being the wife of an Italian/Lebanese man, I have learned many Lebanese dishes...and this looks amazing. HMMM very different I'll have to try this.. I giggled out loud with your (nom, nom, nom) My man ALWAYS says that when he cooks dinner. He hollers EATS ON NOM, NOM, NOM. Also where's the print button for this one? SO I can save it as a pdf and add it to the ever growing Krystal YUMMY collection.